As of 2014 the entire Baby Boomer generation is over the age of 50. Surpassing this milestone means that people over the age of 50 control 70% of the wealth in the United States. The increasing age of wealth has also resulted in an increase in elderly financial abuse. A 2011 study conducted by MetLife found that elderly financial abuse costs our elderly loved ones nearly $2.9 billion annually. This calculates out to approximately $30,000 per elder fraud victim. Since it is National Financial Planning Month, we thought it would be appropriate to discuss elderly financial planning and issues related to elderly finances. In our last blog, we discussed six ways adult children can start the financial planning conversation with their elderly loved ones. 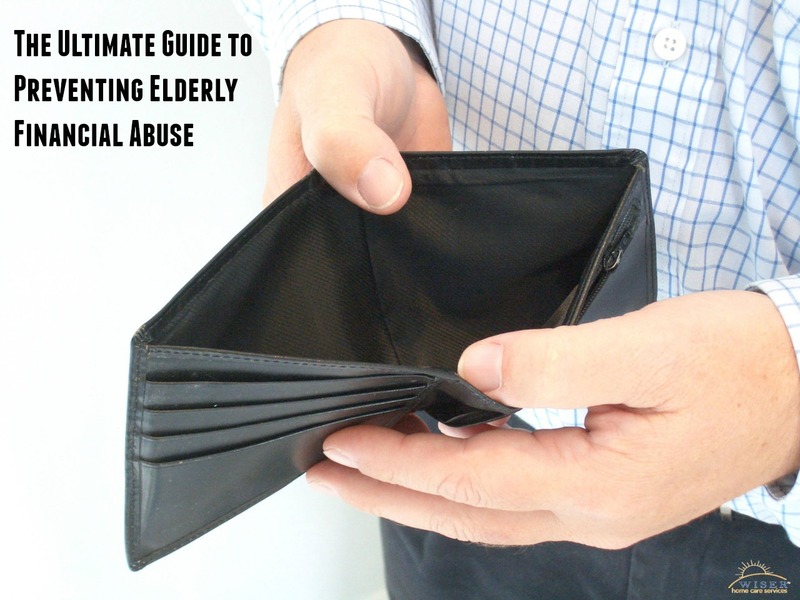 This week we want to address the growing trend of elderly financial abuse and exploitation. Forcing an elderly person to sign over deeds, titles, etc. Now that we know what elderly financial abuse is and what to look for, let’s explore how to prevent it. Fortunately, there are several steps you can take with your elderly loved one to protect them from experiencing financial exploitation. While this might not completely prevent a fraudulent salesman, adding your loved one’s number to the national Do Not Call registry will certainly help lower the amount of sales calls they get. It is important to have someone trust-worthy, who is close to the senior, appointed as a bank account overseer. They can make sure there isn’t any suspicious activity, and stop it before it gets too far. You can also do this with limited credit cards. Your elderly loved one should order a copy of their credit report at least once a year to make sure there have been no fraudulent accounts opened. Before hiring anyone to help with your elderly loved one, check their references and credentials. Don’t be a stranger. Not only will your elderly loved one enjoy the company, it is good to check in and make sure everything is the way it should be. Before your elderly loved one signs any documents it is important to have them looked over by a financial advisor or an attorney. This will ensure they aren’t getting themselves into something they shouldn’t. Finally, don’t ever rush them into a decision. Sometimes, despite everything you do, your elderly loved one may fall victim to financial exploitation. If this happens, have your elderly loved one speak with an attorney and police officer. After they file a police report they should also contact Adult Protective Services for additional help and support. This website is my breathing in, really superb layout and Perfect content.